Do you live your own authentic life? The life you have always dreamt of? Are you excited to jump out of bed early in the morning to start a new day of your life? I think you are very – very – lucky if you can answer these questions with a ‘yes, i do!‘. And I know for sure that there are some of you who can! You are probably doing something you are passionate about, that excites you 24/7. Something that keeps on filling your body with positive energy time and time again; something you love, even when it is 2pm in the morning or you have to cancel dinner with your friends – again. 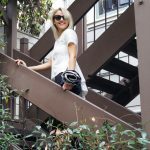 After more than 2 years, I am still very passionate about this blog which is my personal online destination to share my excitement for my biggest love, bags! I have to admit that I am such a happier person since I decided to pursue my dream and to follow this passion two years ago. I’m very thankful for this opportunity and for all the people who supported me during this ride. Moreover, I am also very grateful for the people and brands I have met so far who keep inspiring me as they share the same passion. One of those labels is Freedom of Movement, an exceptional lifestyle label that has been incorporated by two brothers in South Africa in 2013. Encouraged by their passion for design and entrepreneurship they started this accessory brand that is specialized in bespoke leather products that are crafted by hand. 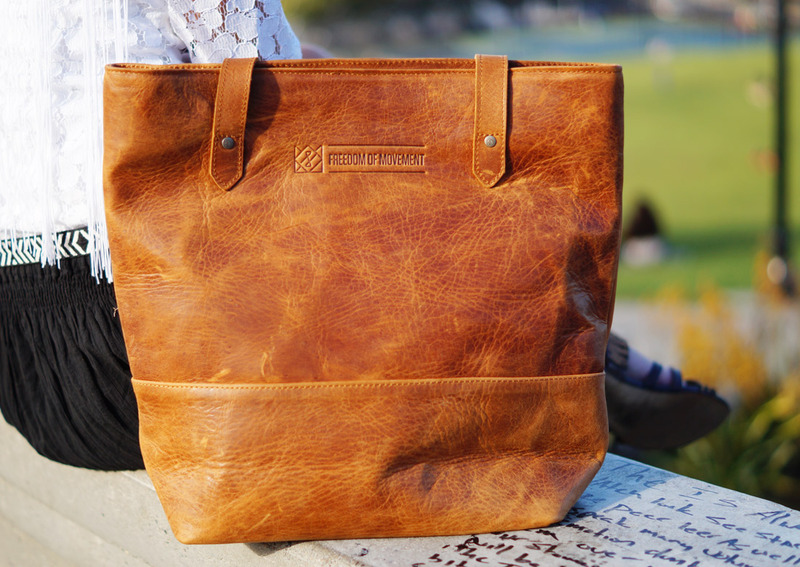 The artisans who design and handcraft the accessories in Stellenbosch use the finest raw materials and have a great eye for detail. 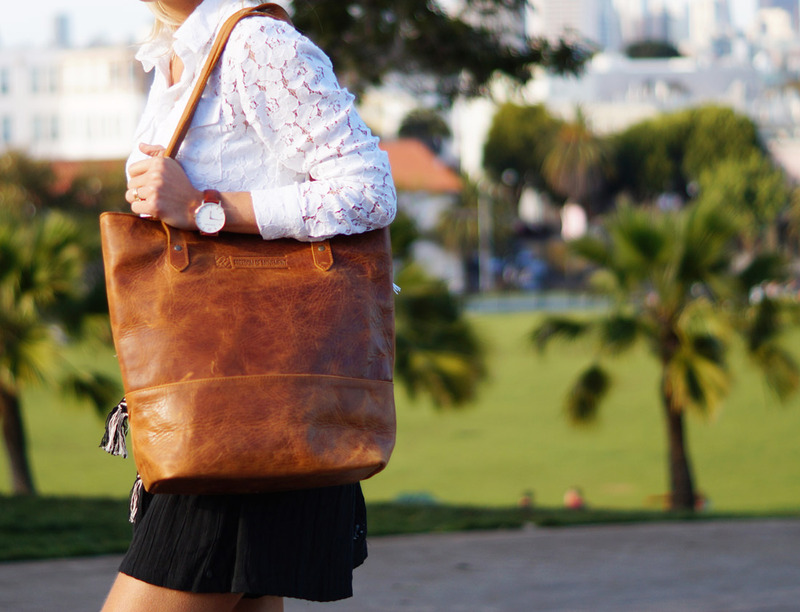 The result are timeless leather goods that show a mix of traditional design and modern technology. With their ambition and love for this lifestyle brand, Freedom of Movement is now taking over Europe as well. Today I mixed a basic outfit with statement accessories from Freedom of Movement. 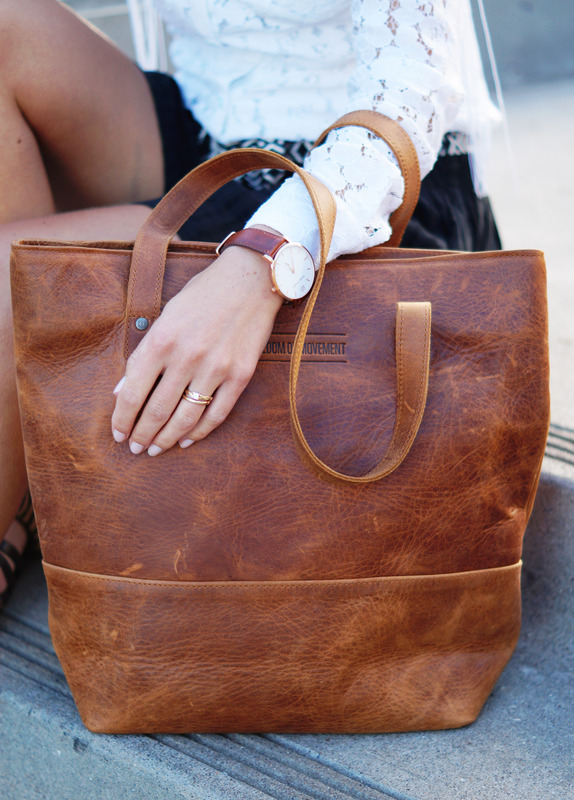 The bag is a true sophisticated beauty. If you take a closer look you’ll note the cool lining and the several pockets to enable me to organize and to keep my valuables safe. I am also madly love with my time piece, with the sleek and delicate contemporary appeal. 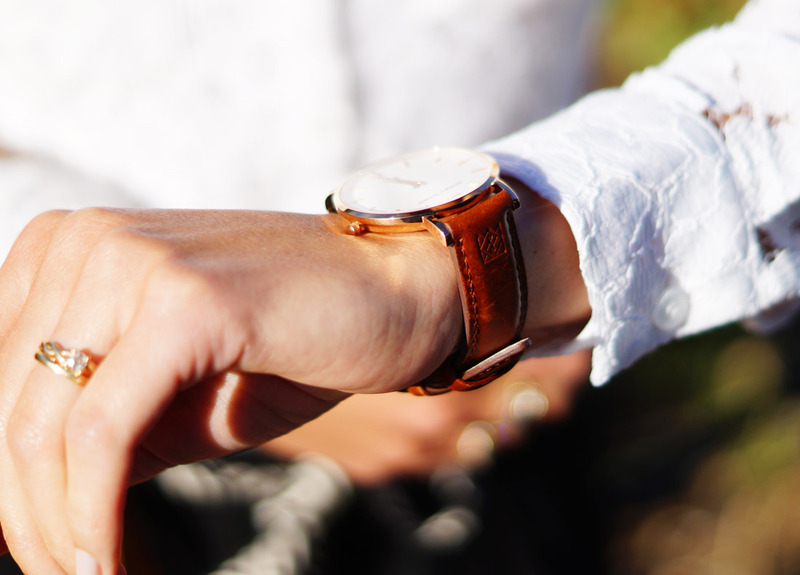 I love the rose gold stainless steel case and the white dial, clean and stylish. Like the bag, the strap is also made from the very best quality genuine leather and will gain character after I have been using it more often. I love it when my leather accessories have a story to tell, including some light ‘scars and scratches’ on the surface which is only possible when you get the best natural materials. The blouse is from my sister and I still love to borrow her clothes as she has a fine taste! This white laced shirt is adorable as it is the perfect mix between sexiness and coolness. This shorts are a little treasure that I found in the final sale at Maison Scotch and I love them for their comfort and elegance. Don’t you think that this look is perfect to start living your own authentic life and to live your life to the fullest?! P.s. 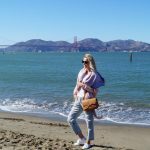 You might also like Travel guide: 48 hours in San Francisco & Who else is obsessed over..! I don’t want summer to end..!